This deluxe hardcover from IDW’s Library of American Comics contains all three of The Genius’s stories starring Jesse Bravo, knock-about pilot and reluctant swashbuckler, including the original graphic novel that’s been out of print for 30 years. 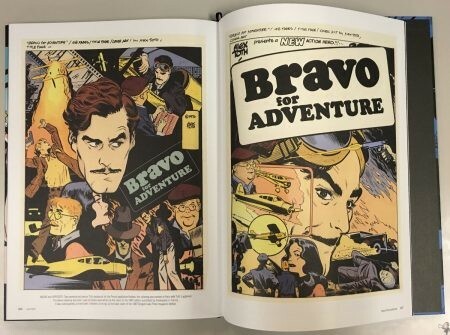 Also included are never-before-seen pencil roughs, preliminary drawings, and story fragments, as well as Toth’s own coloring samples for an edition that never saw print, and-freed from storage after 40 years-some of the coloring for what was intended to be Bravo’s original 1975 first printing in France! The ultimate Bravo for Adventure, published by special arrangement with the Toth family! 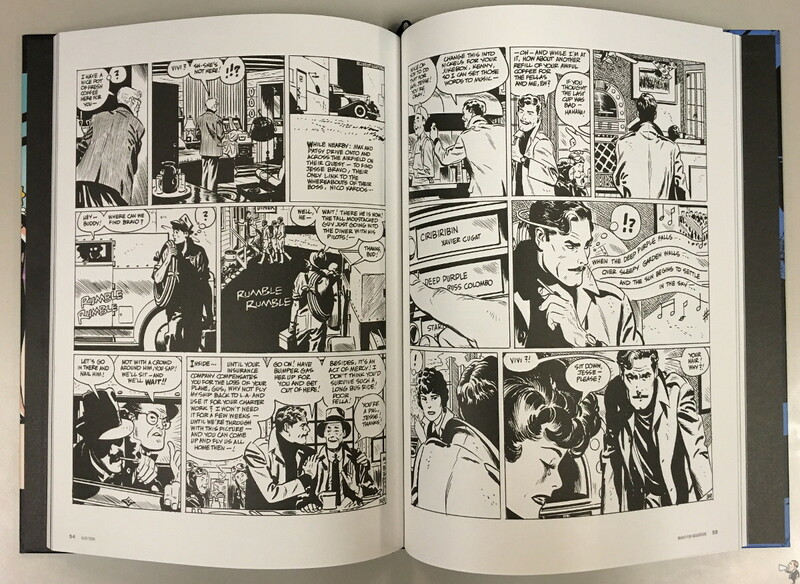 Here is a wonderfully oversized collection of Toth material few of us have seen, and visually it’s everything we expect and a little more. One extended tale is offered and then a shorter piece, followed by roughs and original colours. 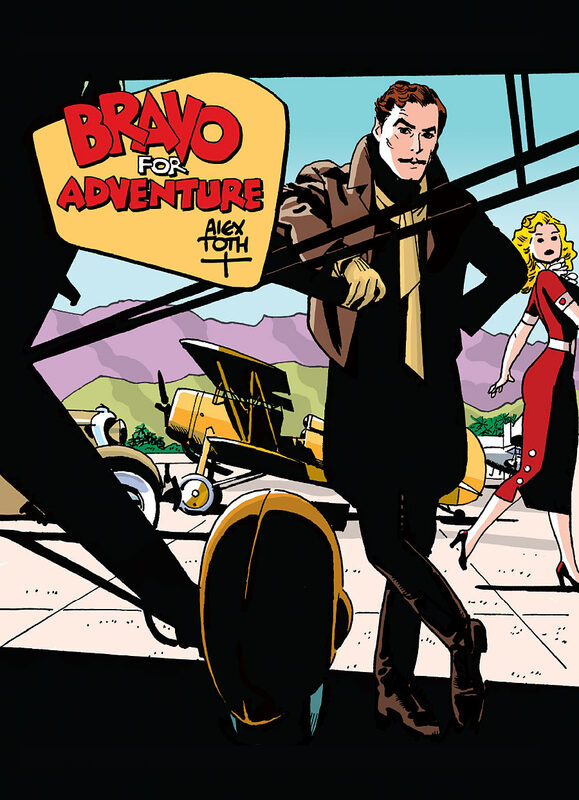 Toth wrote very few stories during his career and wanted to take a crack at it. These are the results. It’s lighthearted and playful, even when the tension is high and the cast gets aggressive. Perhaps everyone is too nice: even the villains seem to work themselves out. The art is sensational, with thick and rich blacks. I mean, come on, it’s Alex Toth! 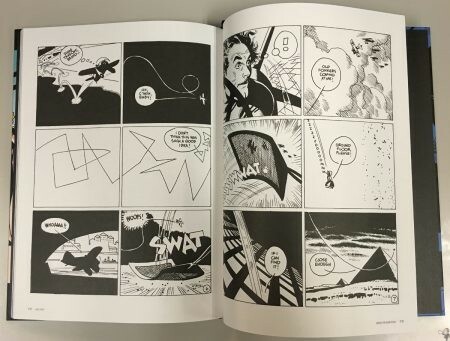 The introduction has a playful page layout and is quite unique and engaging, but for the rest the pages are divided into thirds, with two to three panels per third. When there’s fast action or conversation the panels increase but stay in the thirds. Lettering is clear and easy to read; Toth works different word balloons in for sound effects but mostly sticks with the traditional. 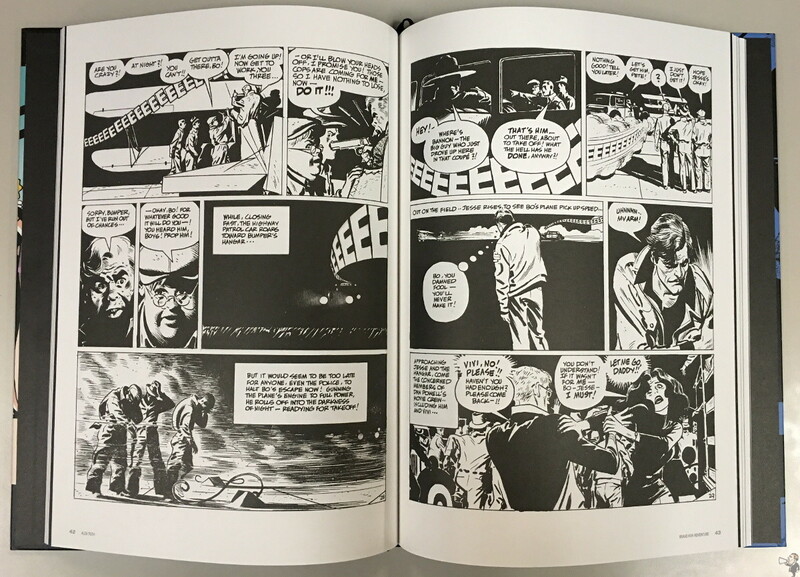 It’s an impressive size, matching the three volume Toth biography, and allows for full submersion into the material. Very heavy paper stock with sewn binding that’s a little too tight. The silk ribbon is always appreciated! A nice extras section at the back. 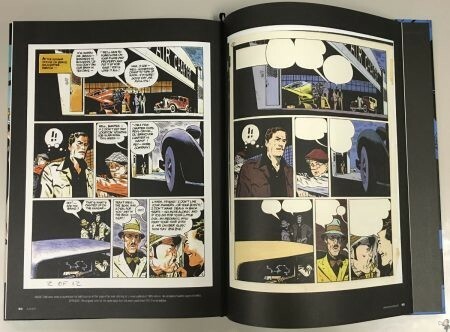 Pages from the French editions, roughs, hand coloured pages that never saw print, and page roughs. As “behind the scenes” as the casual fan would enjoy. 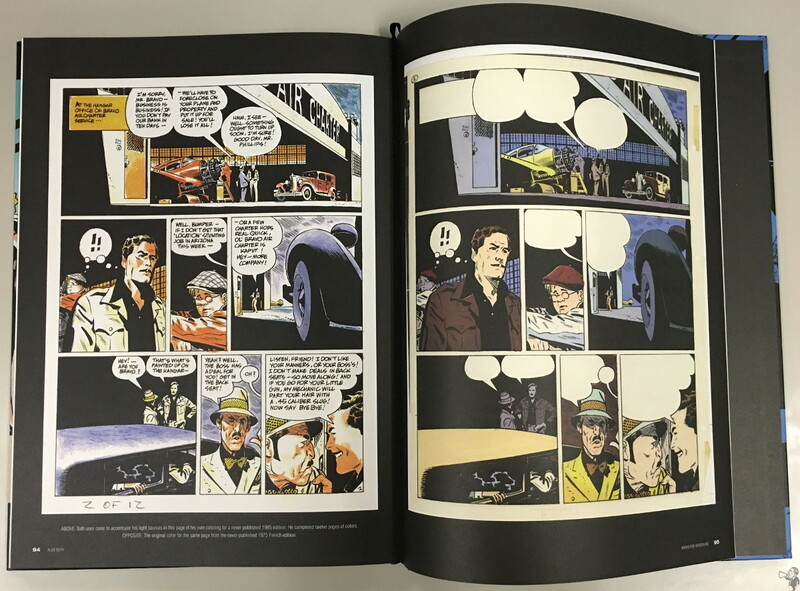 Looking at the “what could have been” coloured pages only demonstrate the strength of Toth’s abilities in ink. 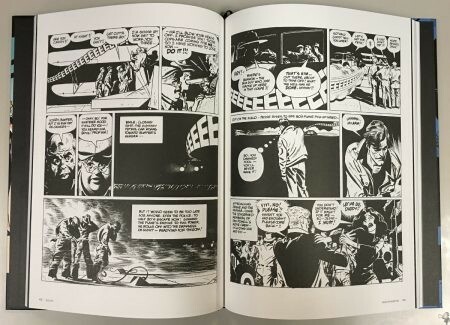 Bravo to Library Of American Comics for getting this rarely seen material out to the public in an expansive volume. A must for all Toth fans.